Based on data from 137 vehicles, 11,577 fuel-ups and 2,708,566 miles of driving, the 2004 Honda Element gets a combined Avg MPG of 20.52 with a 0.06 MPG margin of error. Below you can see a distribution of the fuel-ups with 360 outliers (3.02%) removed. 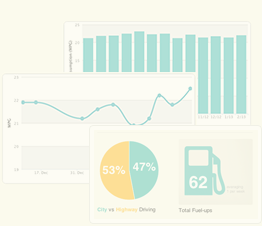 Following shows the average MPG of each of the 137 vehicles in the system. Lighter engine oil for better mileage? or more power?